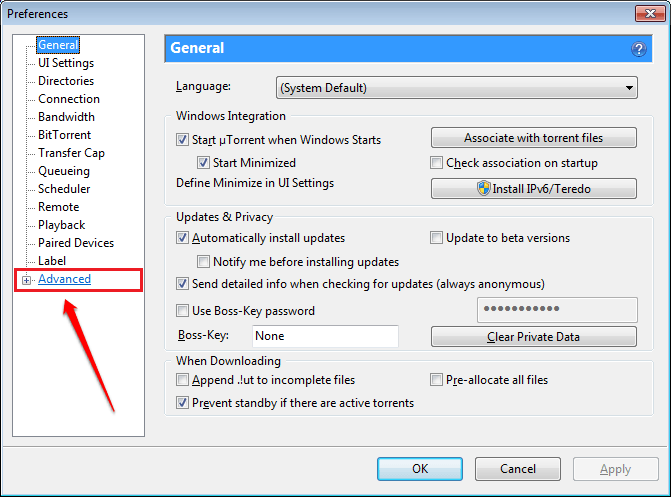 How To Remove Ads From uTorrent Desktop Application Without Buying Pro Version:- Tired of seeing ads in your uTorrent desktop application? Whenever you try to remove the ads, are you being prompted to upgrade the application by buying the Pro version? And did you decide that you should get the Pro version just to get rid of the ads? WAITTT!! You need not get the Pro version to get rid of the ads. 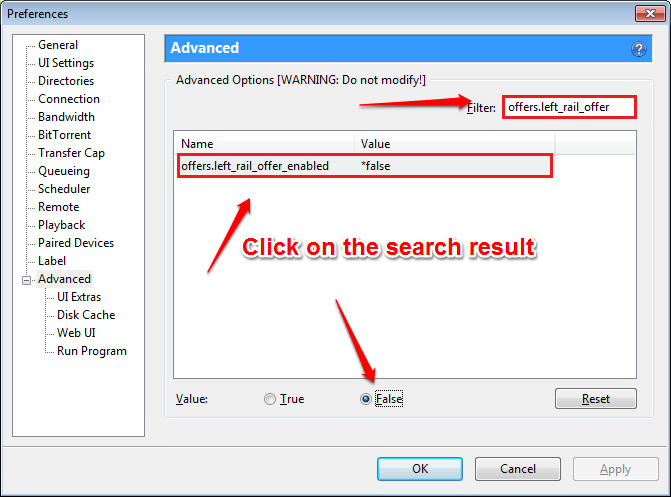 Simply follow the steps below to efficiently remove ads from your uTorrent desktop application. Launch the uTorrent desktop application. You will be able to see the ad area in the application. To remove the ads, click on the Options tab and then on Preferences. A new window named Preferences opens up. Find and click on the entry named Advanced from the left window pane. 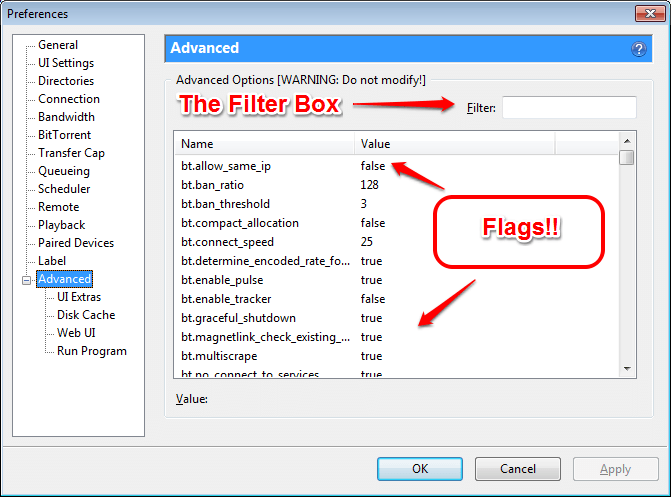 In the right pane of the Preferences window, you will be able to see a Filter box and lots of flags under that. What you have to do is finding and searching for some flags and disabling them. For that, copy paste the flag offers.left_rail_offer_enabled or left_rail_offer in the Filter box and wait for the flag to come up. 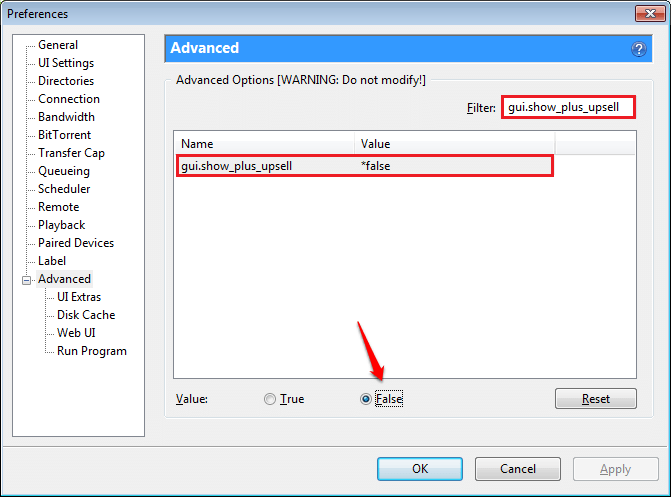 As next, look for the flag gui.show_plus_upsell and disable this flag as well. Likewise, there are some more flags that you need to disable. The entire list of flags to disable is as follows. When you are done with disabling all the flags mentioned, you can hit the OK button at the bottom. Viola!! If you go back to your uTorrent application, you can see that the ad area is long gone! Enjoy! Hope you found the article useful. If you are stuck with any of the steps, feel free to leave comments, we would be happy to help. Do come back for more, as there is always something new waiting, right here for you.